Office Oblique is a collaborative project that aims to investigate territories of architectural imagination. We move freely among various fields of spatial production to establish a condition of cross-disciplinary work: an oblique condition. We consider the duality of discourse and design an essential means to advance a project from a mere design task to a critical contribution. Konrad Scheffer received his Diploma in Architecture from University of Cottbus in 2008 and his post-professional degree in Architecture and Urbanism from Cornell University in 2010, where he was awarded the Mary Miller Lyons Award for exceptional ability and talent in architectural design. He has previously worked with Bruno Fioretti Marquez in Berlin and EM2N in Zurich, where he was responsible for numerous competition entries. He has taught architectural design at Cornell University. Konrad Scheffer is recipient of the Walter-Henn Award for outstanding design by the German Association of Architects (BDA) and the Hypo-Real-Estate Award for Most Promising Emerging Architect. Sarah Haubner received her Diploma in Architecture from University of Cottbus in 2008 and her post-professional degree in Architecture and Urbanism from Cornell University in 2010, where she was awarded the Helen Fagan Tyler Graduate Fellowship in Architecture for her academic achievements. She has previously worked with Olson Kundig Architects in Seattle, Gigon Guyer Architects in Zurich, and Brauen Wälchli Architectes in Lausanne. Sarah Haubner is a Fulbright Fellow. She has taught architectural design at the University of Cottbus. 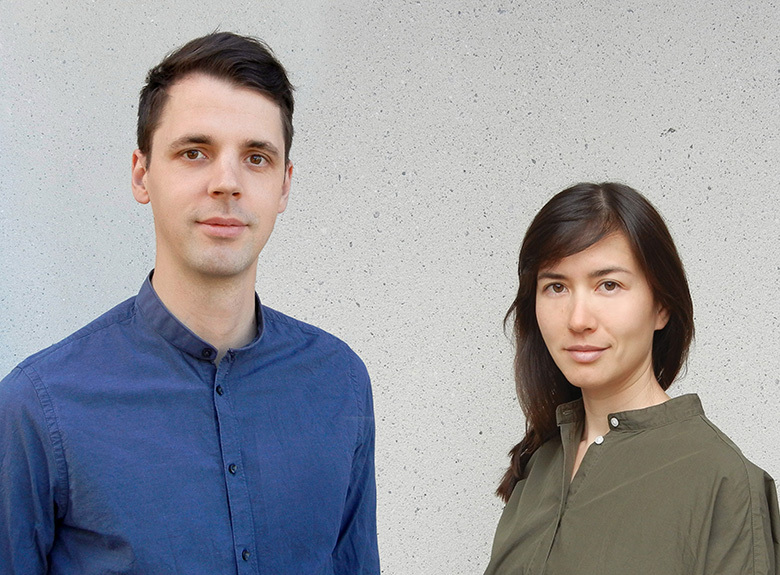 Konrad Scheffer and Sarah Haubner have lectured or been invited as guest critics at various institutions, among them: Cornell University, Tunghai University, IE University Segovia, Harvard GSD.